At BlueStacks, we have been waiting for this day to come for a long time. Zombie invasion has finally begun and we are ready: Our machetes, supply packs, and weapons will enable us to survive. How about you? Are you ready for the zombie-filled world of Left To Survive? Be ready or not, they are coming to bite you! To help you stay alive, this guide provides all the information you need to know about Left To Survive. Left To Survive is not just a zombie shooter. There are so many things you can do in the game and different systems have been put together quite successfully. You shoot at zombies, build a base, and fight against other survivors. Each of these features uses different mechanics. In other words, everything you can expect from a zombie game, and more, is available in Left To Survive. Let’s continue by looking at all these features one by one. 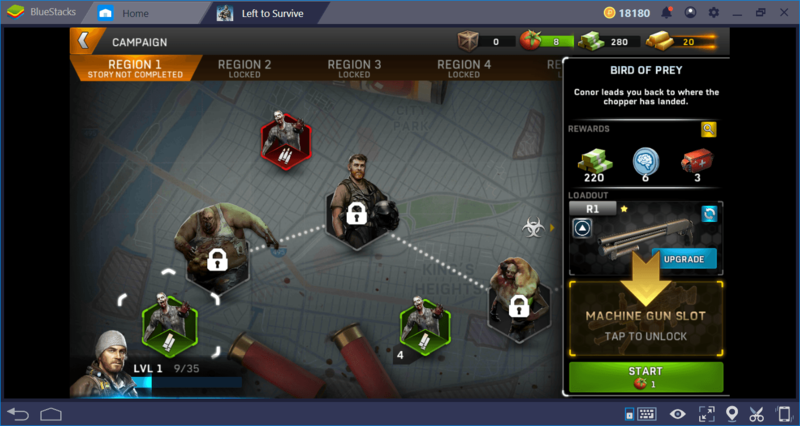 This feature contains the basic PvE missions of the game. You are one of the survivors in a world invaded by zombies, and your first mission is to rescue a pilot from a falling helicopter. So, as soon as you start the game, you can shoot the zombies! 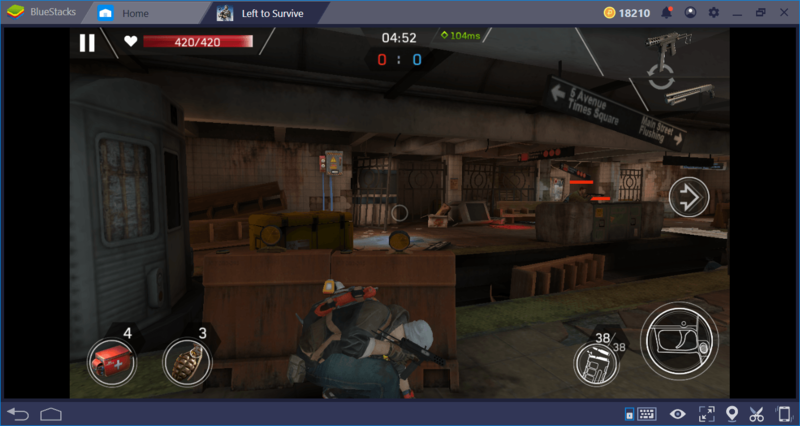 This feature uses two mechanics: TPS (third person shooter) and “on-rails shooter”. “On-rails shooter” is a special game type you may be familiar with from arcade saloons. Do you remember the games wherein you shoot the screen with a plastic gun? Left To Survive uses the same system. In other words, you cannot control your character and go forward or backward, for example. All you can do is turn the camera left and right and shoot at targets. When you kill all of the zombies in a certain area, your character automatically moves to the next zone. 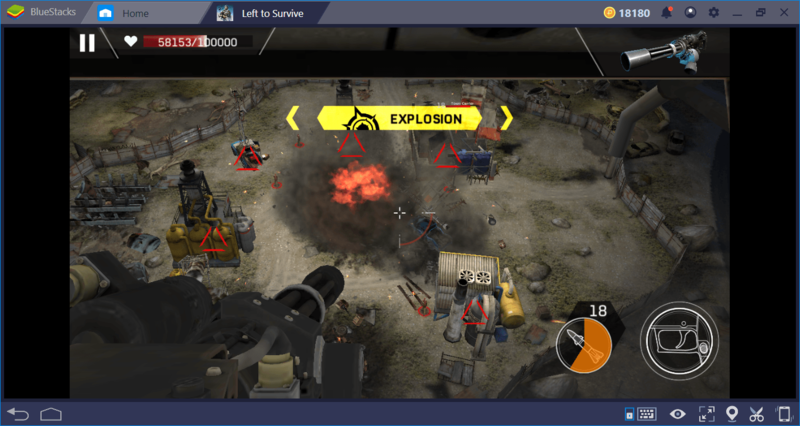 Left To Survive has many different types of missions: Sometimes you are shooting from a helicopter, and sometimes you are trying to protect another survivor from attacks for a certain period of time. Level designs are pretty unique and graphics quality is quite high. But mostly, all you do is shoot at waves of enemies. We’re trying to destroy a base by shooting from a helicopter. It’s so much fun to use the sniper rifle! At the end of every mission you successfully complete, you get various resources and XP points as a reward. You will use these resources to improve your base and upgrade your weapons. 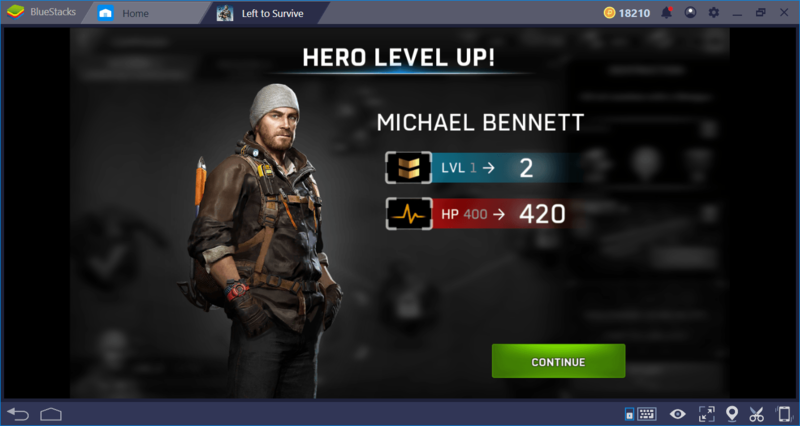 With XP points, you can level up your main character. 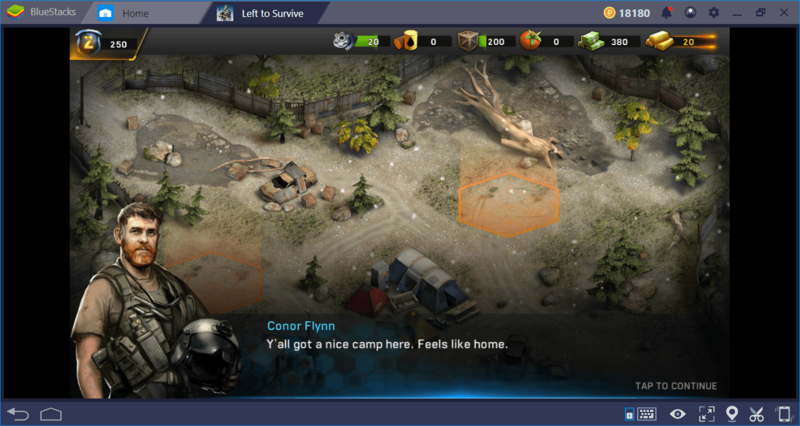 After completing the first mission, the game switches to a completely different screen: Base building. 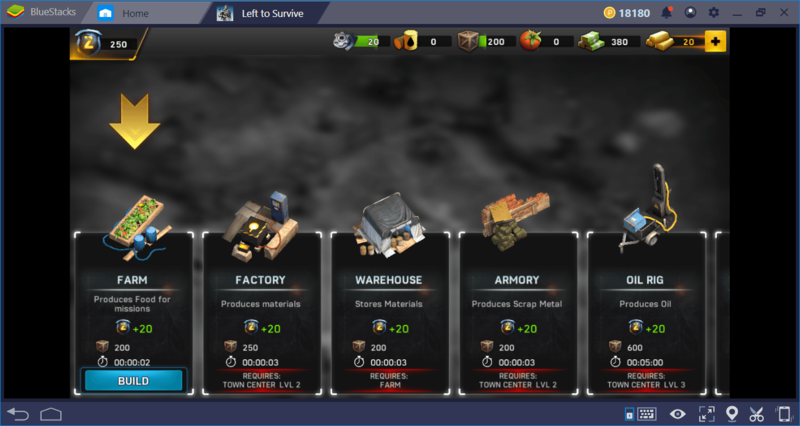 Yes, you have a base in Left To Survive, and just like a conquest game, you have to construct various buildings to get resources and unlock various features. 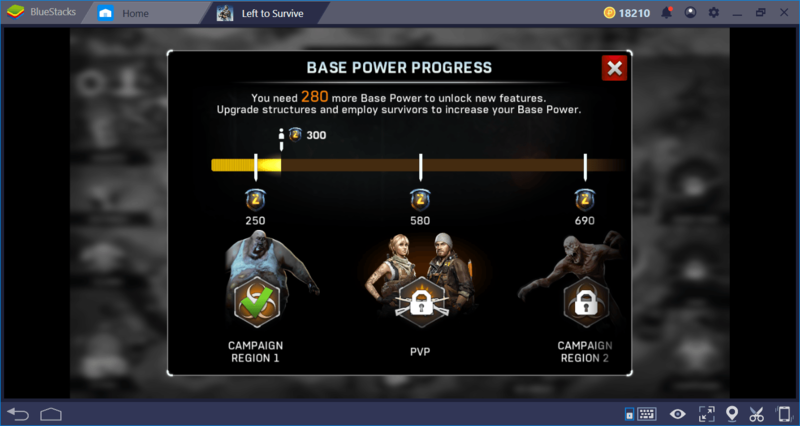 You can even get special bonuses by placing other survivors in some buildings. Our camp. It has no buildings yet but we will turn this place into a paradise in a short time. 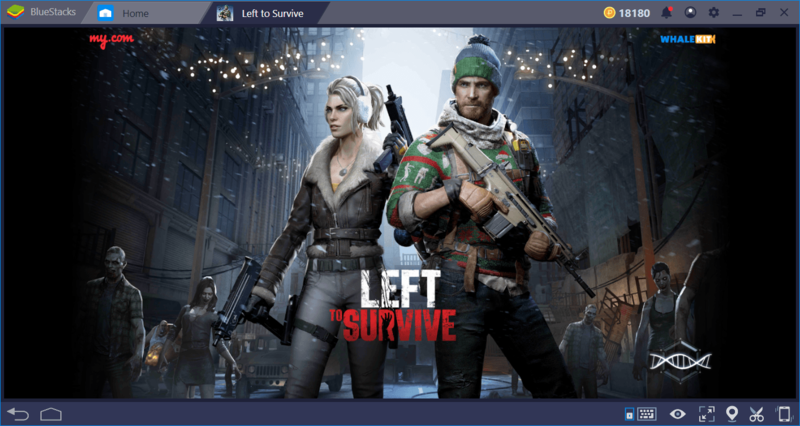 Play Left to Survive on BlueStacks 4 Now! These are the buildings you can put in your camp. Just build one of each. In another guide, we will discuss this in more detail. 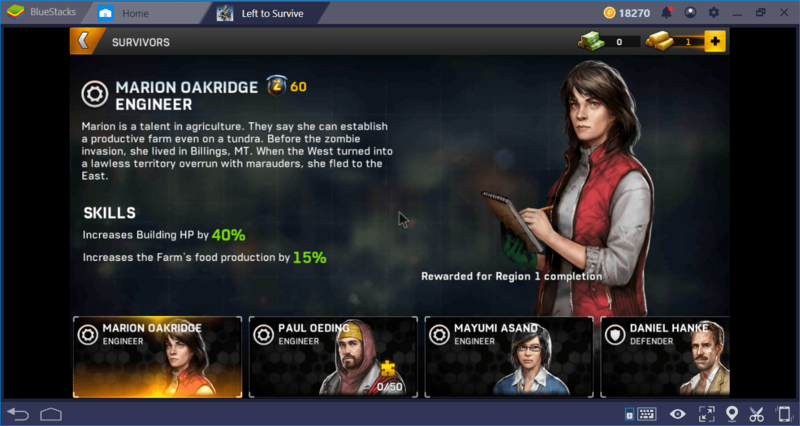 If you place this survivor on the farm, you get a lot of bonuses. Don’t forget to read our guide about survivors to learn more. The game’s base-building mechanics are fairly basic, so they are not detailed enough to require you to follow a specific strategy. However, your base is important in terms of gameplay. With each building you construct, you increase the power of your base and unlock new features. PvE missions consist of 6 chapters in total and you need to reach a certain base power to move to the next chapter. You will also use your base for resource production. For example, each PvE mission costs a “tomato” and you can only collect these tomatoes from your farm. Likewise, you are asked to construct particular buildings to start using game features like “base raid”. We only have 8 tomatoes – resources in this world are really limited. 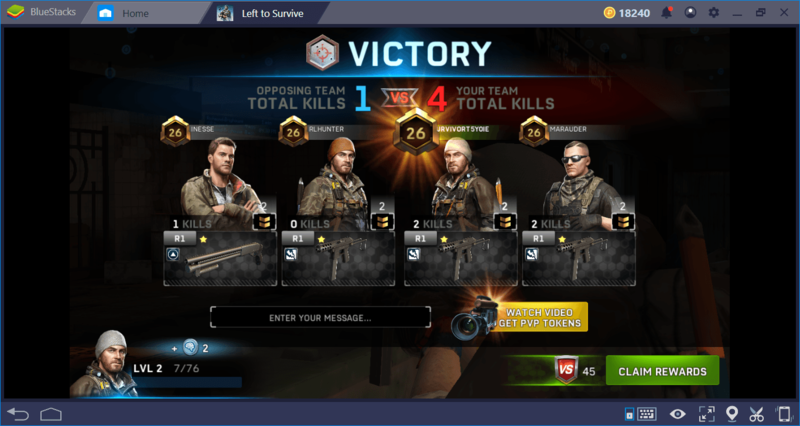 PvP missions are one of the most fun features of Left To Survive. You are fighting against other real players in two teams and you are trying to be the last person/team to survive. 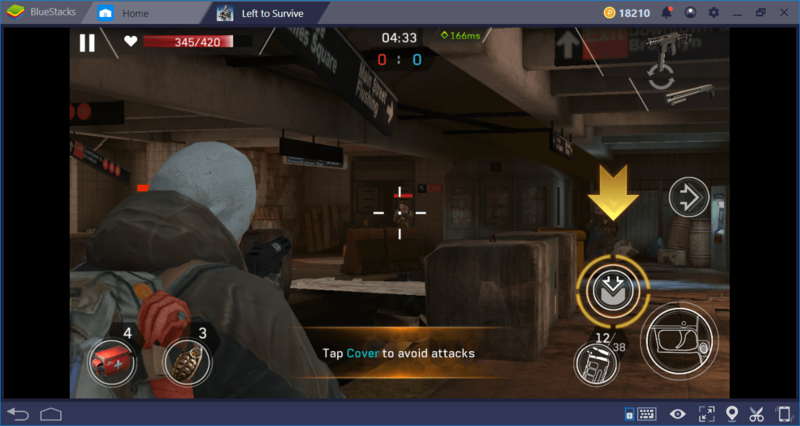 TPS mechanics are still used in PvP missions, but you are no longer playing an on-rails shooter: You must switch between the trenches continuously and try to find the most appropriate position to shoot. If you’re not shooting, you must hide behind a trench. We are ready to kill another survivor. Each of the stone blocks you see is a trench and we can switch between them. Left to Survive’s PVP mechanics are very entertaining: They reward the patient player, not the fastest one. You cannot roam the map freely like a Battle Royale game: You should only fire at the right moment and always stay behind a trench. 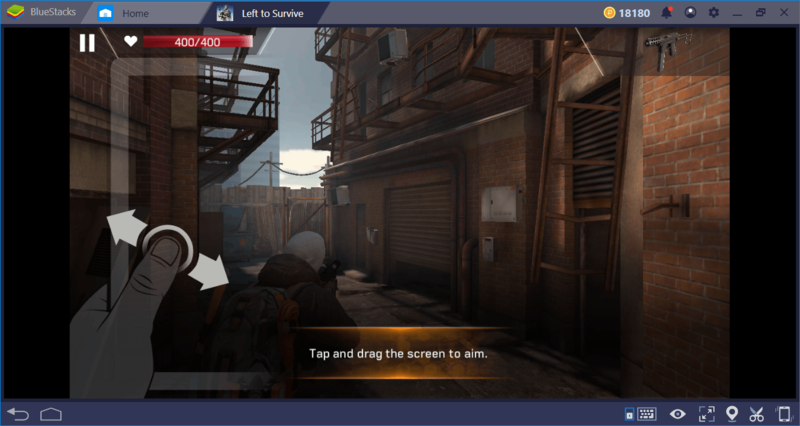 If you’ve ever tried action-based PVP modes and did not like them, try again: The PvP system of Left To Survive, which rewards smart players, can be just what you’re looking for. Of course, you also need to choose the right weapons to use. Speaking of weapons, there are dozens of weapons to use in different categories and each one can be upgraded. The differences between the weapons have been successfully reflected in the game. For example, you can easily feel the difference between a shotgun and an SMG. 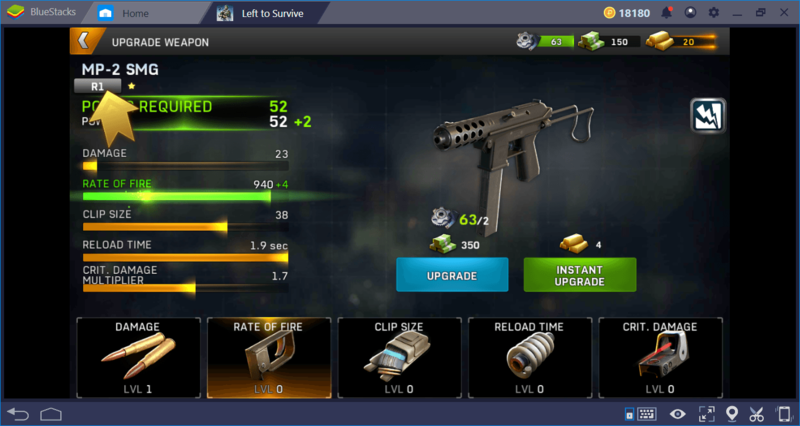 One of your goals when playing Left To Survive will be to collect better weapons and upgrade them constantly. To learn more about this, we recommend that you read our Weapons guide. Zombie shooting, base building, and killing other players: Left To Survive successfully combines these different features and provides a highly unique experience. Each feature has a lot of fun mechanics and offers rich content that can engage you for days. 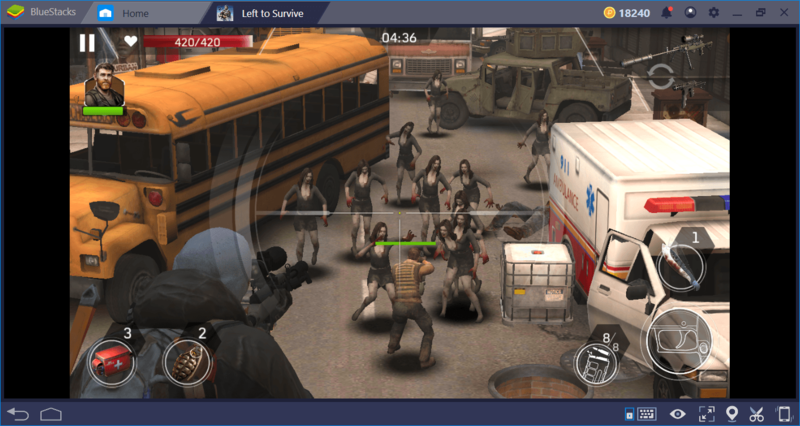 We like what we’ve seen so far: Left To Survive is a game that all zombie fans have to play. (Yes, there’s a group called zombie fans and yes, it’s quite crowded.) 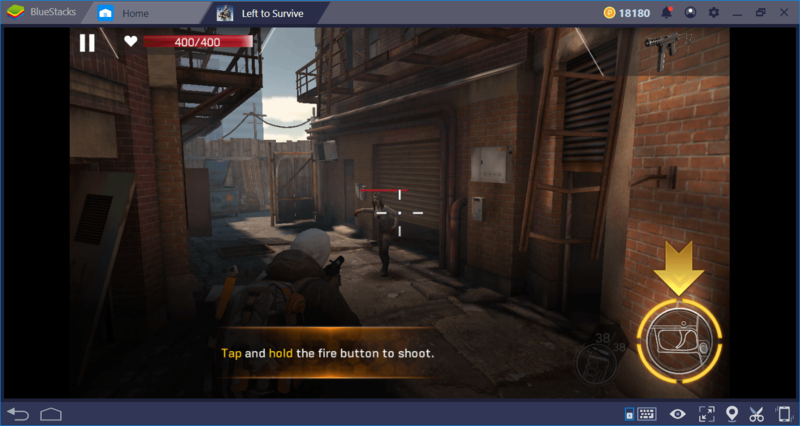 Don’t forget to read our other guides about the game to learn more: We’ll review all the features of Left To Survive to help you out. Now, if you allow us, we have zombies to kill and a base to deal with: See you in the game!